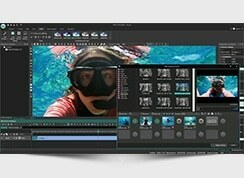 Flash-Integro developed a new major release of its acclaimed VSDC Free Video Editor 2.2.2. 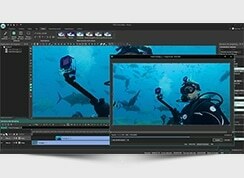 The update features industry-unique support for semi-transparent videos, offers convenient pre-configured profiles for web videos, adds support for SRT subtitles for easy labeling of and commenting on a video, and brings in instantly applied styles and effects. The first great novelty is the support creating of semi-transparent videos. What is that? 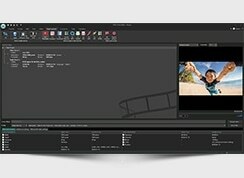 Now, a user can add semi-transparent objects to a video just as easy as normal images, movies, and other typical objects and create own semi-transparent videos. 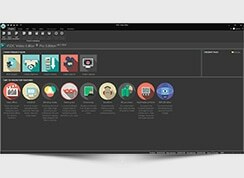 The app can work with multiple formats that use an alpha-channel or other ways to represent transparent pixels, such as PNG, lossless JPEG and GIF. Semi-transparency is a great artistic effect and a powerful option for video presentations, but unfortunately it rarely finds itself in affordable video editors. 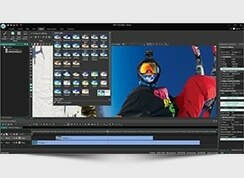 VSDC Free Video Editor now bridges this gap. The second new option is a whole new pre-defined profile category – web videos. With it, a user can make a video, then instantly select one of the web video profiles and receive a ready-to-upload file in the given format (FLV, MP4, SWF, GIF) and settings optimized for the Internet. With the growing popularity of various video casts, YouTube channels, let’s plays, and video reviews of all kinds, such a quick way to get a turnkey Web video will be greatly appreciated by users. Instant styles and effects pursue the same goal: to let the user quickly apply a cool effect to a video and immediately see the result. The support for SRT subtitles makes it possible to add multiple text comments to certain scenes of the video using the built-in script language. And if that wasn’t enough for the update, the new version also eases timeline operation and speeds up transparent object rendering thanks to SSE2 support. 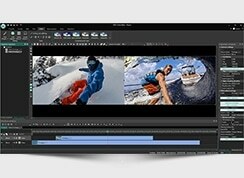 Featuring many cool improvements, new options and possibilities, VSDC Free Video Editor remains straightforward, intuitive and, of course, free software.